While the bigger property markets of Sydney and Melbourne sit in the doldrums and continue to show signs of further weakness, other markets around Australia are now starting to do well. 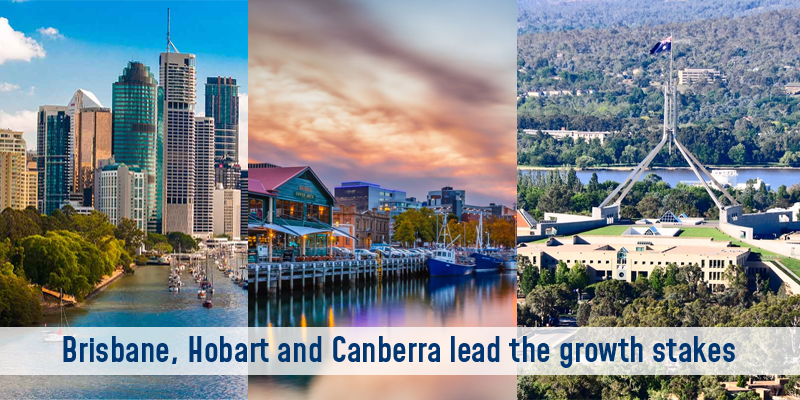 Brisbane, Canberra and Hobart all showing very positive signs at the end of 2018 according to Core Logic. This is just what happens with property markets, they cycle. The go up, then they flatten off and then they eventually go up again. Your job as an investor is to maximise your capital growth in the shortest period of time. Hence, while Sydney and Melbourne will always be great long term investments, there are definitely better markets to be looking at for the moment. Stick to the main capital cities but do some research to try and predict what markets will give you that initial boost in values to allow you to expand your portfolio faster.